Winter is here and in full effect. Erie is known for its long, harsh winters and has broken records for most snowfall in inches. 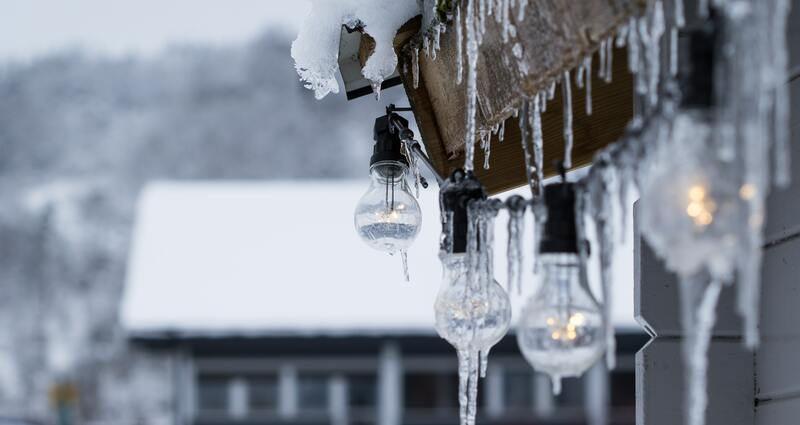 These extreme cold weather conditions can be very hard on your home and have the potential to damage your property. Winter is also a time when heating bills soar. Do you ever feel like you can’t get warm no matter how many blankets you wrap yourself in or how many pairs of fuzzy socks you wear? This may be a sign of improper insulation or a leak in the house. We asked our in-house contractor, Pat East of East Construction out of Erie, PA, for some tips on how to prepare for the winter and protect your home from the cold. Use heat tape or insulation to help prevent pipes from freezing. If pipes do freeze, start by shutting main water line off. Turn the heat on if it was off and call a professional to repair all pipes that are leaking or broken. Outdoor maintenance should be done on a regular basis. This includes removing snow/ice from driveway and sidewalks, checking roof and gutters for cracks or leaks, turning off water to outside spigots, and removing snow from roof after a large amount of snowfall (use a proper roof shovel for this). Check your roof, gutters, downspouts, windows, AC units, and deck for damage as these are most prone to be damaged in the cold and snow. Remember to seal all cracks and holes in foundation, windows, roof, etc.